(VOVWORLD) -The 5th National Red Cross Camp has honored humanitarian activities of young volunteers. 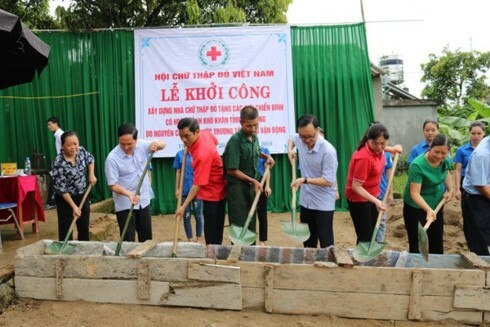 The 2-day event was held in Can Tho city on Friday by the Vietnam Red Cross Society, the Youth Union, and the Ministry of Education and Training. Participants included Tran Thanh Man, President of the Vietnam Fatherland Front, and 500 delegates from Red Cross Societies of Vietnam, Laos, Cambodia, Thailand, Myanmar, Malaysia, China, and Japan.